Apple authorized reseller B&H Photo Video has started its annual holiday sale with a number of discounts on Apple products, ranging from the new MacBook Pro to iPad. Some of the deals include a free download of Parallels 12 for Mac. B&H does not charge sales tax on online orders in all states except New York. B&H Photo Video is discounting the new 13-inch MacBook Pro with no Touch Bar by $100, dropping the price from $1,499 to $1,399. The discount is available on both the Silver and Space Gray models. 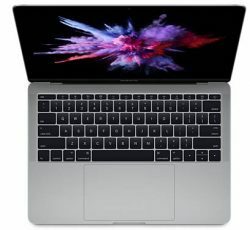 The 2015 15-inch MacBook Pro with a 2.2GHz processor, 256GB SSD, and 16GB RAM is available for $1,699, down from $1,999. 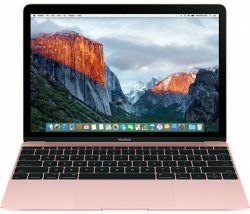 B&H Photo is offering most 12-inch MacBook models at a $100 discount, with specific configurations and pricing listed below. B&H has discounts on several iMac models, with prices and configurations listed below. All MacBook Air models are discounted by $100, dropping the price as low as $899. B&H Photo is discounting many WiFi only 12.9-inch iPad Pro models by $50, dropping the price on the entry-level 32GB model to $749, down from $799. Many 9.7-inch iPad Pro models are also discounted by $50, dropping the price on the entry-level 32GB WiFi only model to $549 instead of $599. Some models, such as the 256GB 9.7-inch iPad Pro with LTE, are available for up to $100 off. A full iPad Pro price list for B&H Photo Video can be found in our Apple Deals roundup, with links and specific pricing on each and every model. MacRumors is an affiliate partner with B&H Photo Video and may sometimes get paid if you click one of the above links and purchase a product or service. which even lacks the discount amount. How about a 4 core MacPro for $1700. Then we're talking. "13-inch MacBook Pro with no Touch Bar"
Let's stick with "MacBook Escape", much easier. Proper discounts. That's how you do it, Tim. At first I thought "wow!, that MacBook ('https://www.bhphotovideo.com/c/product/1128859-REG/apple_mjy42ll_a_12_macbook_early_2015.html/?c3ch=CSE&c3nid=98') is a nice deal". Then I remembered this is the hobbled, one-port mess. Nevermind. no discount for the Made In California book? Looks like they have a massive inventory. I think a fair price today is getting the new Macbook Pro (sans touchbar) for $1300. Bet you can find that %14 discount somewhere.